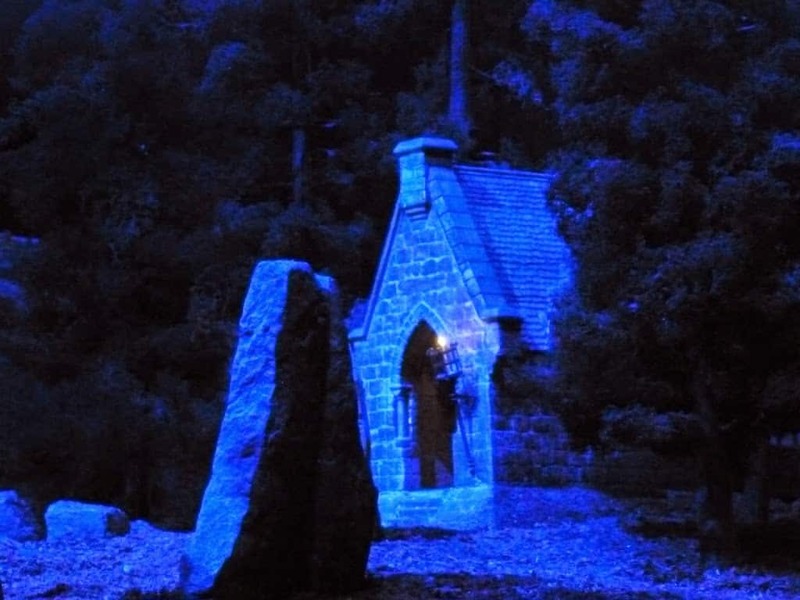 Now for my final Harry Potter post, wow this was my absolute favourite part. 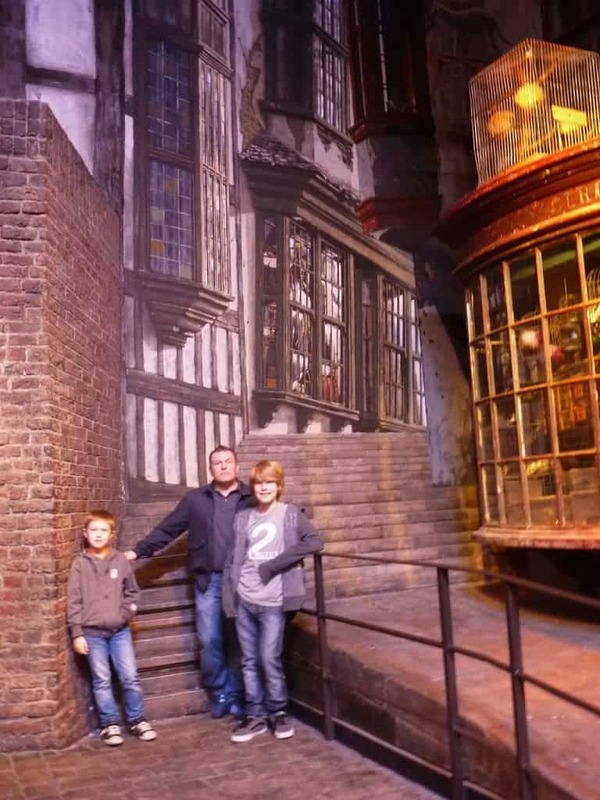 We were half way through our tour when we turned a corner and there it was Diagon Alley. I must say I was a bit over giddy, if fact the boys were again rolling their eyes at me. It was THE Diagon Alley and it was amazing. We spent ages looking in all the shop windows; it must have been fantastic to be part of the crew and working here every day. I particularly loved Weasleys’ Wizarding Wheezes. It looked so exciting, the sort of shop Jack would love. It was surreal seeing Flourish and Blotts Booksellers with professor Professor Gilderoy Lockharts photo in the window. Then we turned another corner and all the plans and models were on show, you really don’t think about how they arrive as such amazing sets, but the whole journey is on display here. Jack was in his element, looking at all the drawing, plans and models. 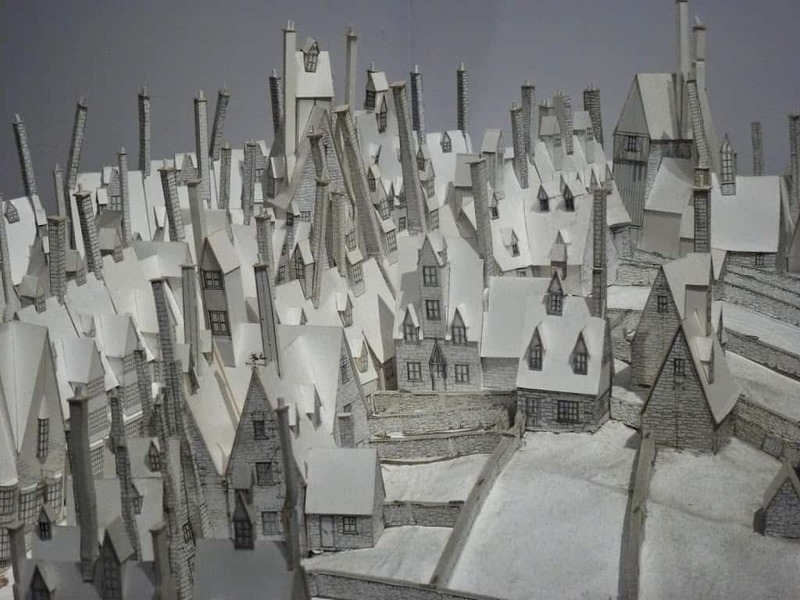 I loved Hogsmead; even though it was made out of paper it was so realistic like you could pick up the Google maps man and put him on one of the streets. The detail was incredible. 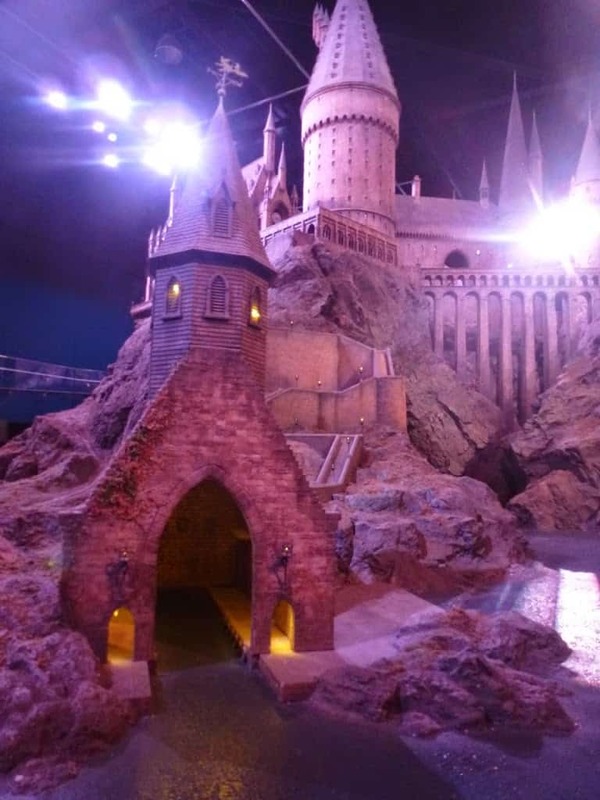 Then came the grand finale, the actual Hogwarts castle, it is breathtaking. 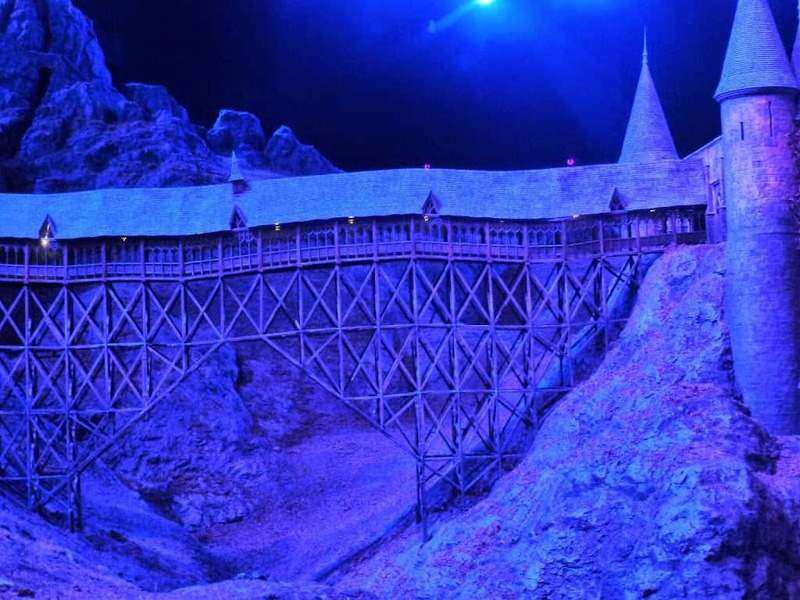 It is set in a huge green screen studio, the Castle in 1:24 scale. This is where the distance, outdoor shots were filmed, it is so incredibly beautiful. 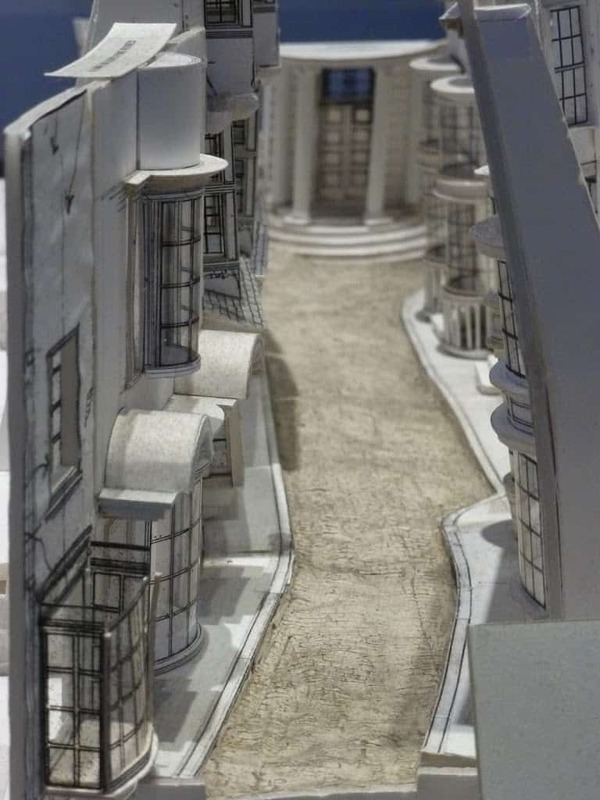 We spent such a long time looking at the craftsmanship and detail, I took lots of photos and on some you would never know that it was a 1:24 scale model, but looks like an actual building. 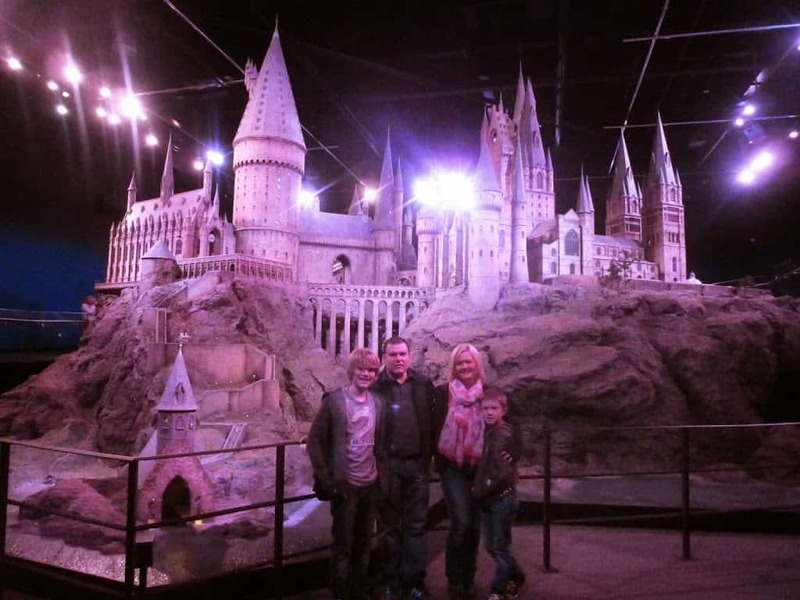 My Harry Potter journey is finally over, I have loved re-living the tour though my blog. It really was the most incredible journey. Absolutely fascinating to see behind the scenes at how the magic took place. 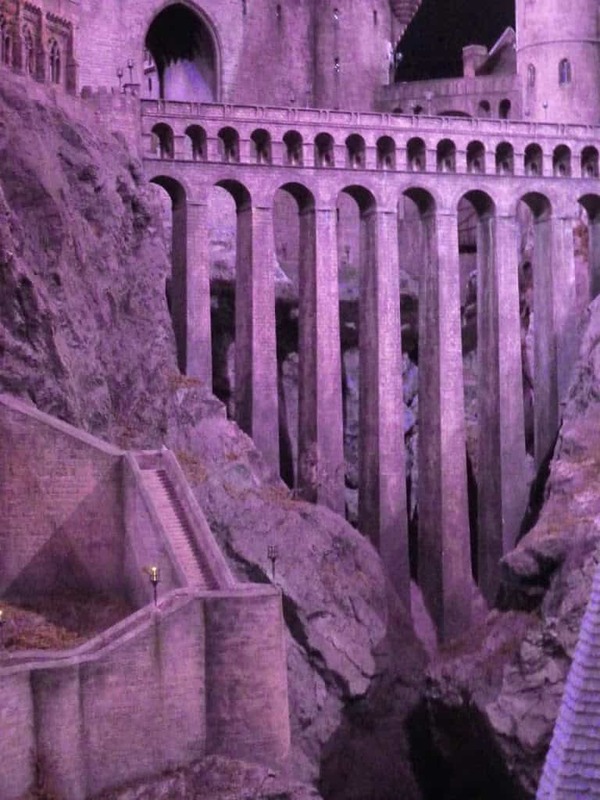 I now cannot wait to visit the The Wizarding World of Harry Potter at Universal Studios, Florida, next year. If you are reading this you must be a Harry Potter Fan. 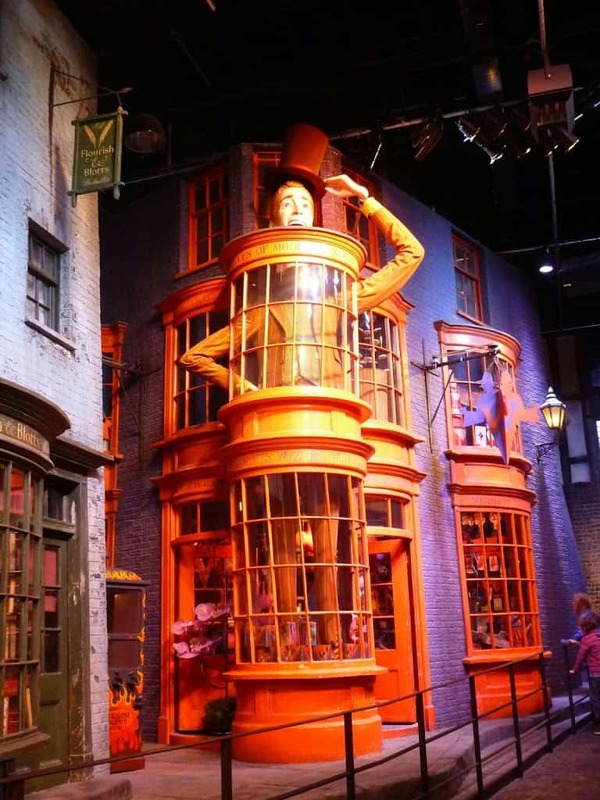 If you haven’t been to the studio tour yet, you must go. It is worth every penny and is an amazing family day out. Previous Post 100 Happy Days, Joe’s Opinion of French Lessons, Day 95.